It’s been a busy day for mobile payments. Not only did Visa have some news with its latest Checkout application, it looks like Google Wallet has an update for users too. The mobile payment system will now house your gift card data. Receiving the pieces of plastic with specific store credit is nice, however, remembering to bring the cards with you whenever you buy something is another story. 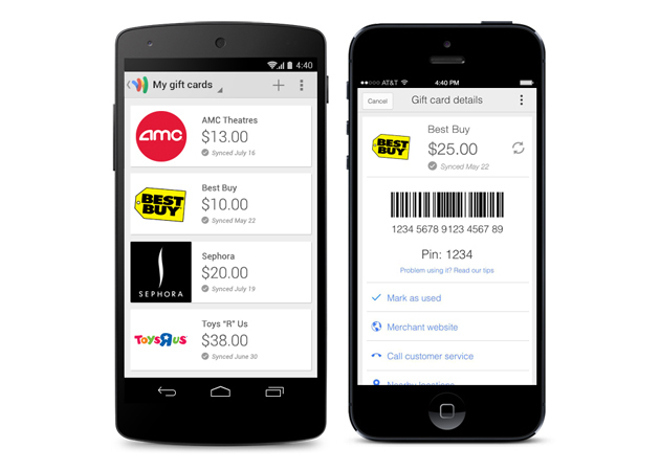 With Google Wallet now, however, you’ll be able to take a picture of your gift card or manually input the information the old fashioned way. After that, you won’t need to use the pieces of plastic in your purchasing any longer. The updated application also brings along a few other features, like the ability to ask friends for funds through the Wallet app or Gmail. You can even transfer funds using a debit card as well. Google has also provided Spanish language support in the app. For now these latest features will only be available in the US version of the Google Wallet application and are available for both Android and iOS, but expect them to be rolled out globally sooner than later.